In a city of modern megaliths, gritty subway stations, and all too crowded sidewalks, finding a piece of the natural world can prove difficult. After all, we're pretty far from Yellowstone Park. 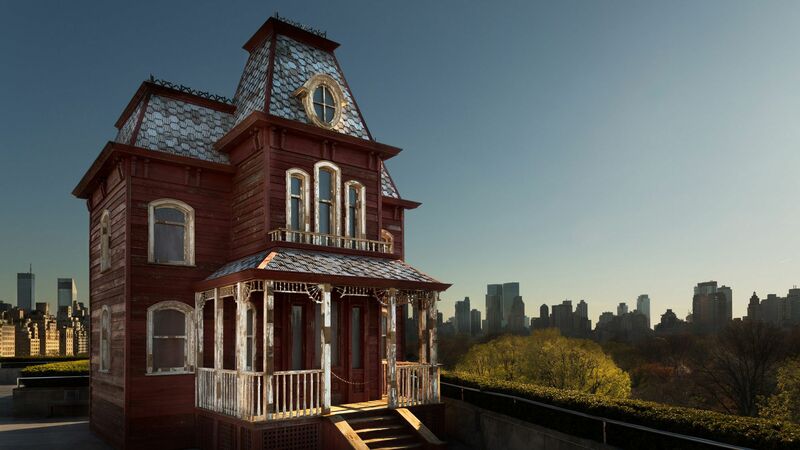 Luckily enough, there's a plethora of green spaces carved into the grid of New York—each with its own character and history—from a Buddhist hilltop garden to sprawling beaches. Go ahead and find your plot of land. Somehow during the urban expansion of New York, a large plot of land remained unscathed. 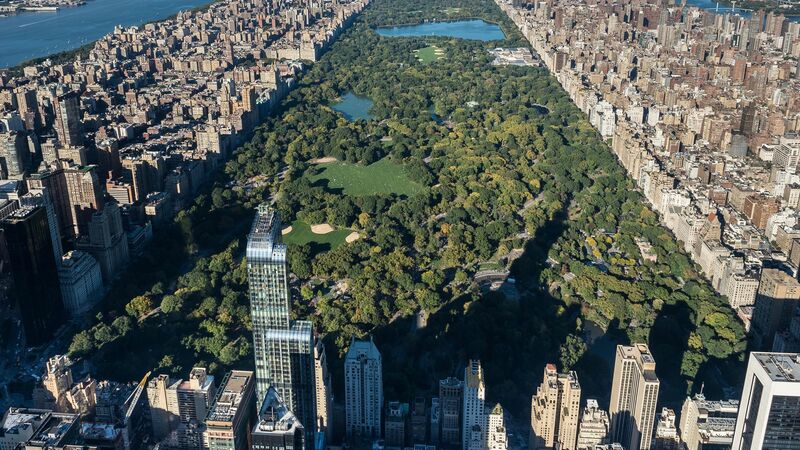 Without a doubt the most iconic green space in the city, Central Park makes cameos in myriad books and films, and continues to be the most visited urban park in the country. 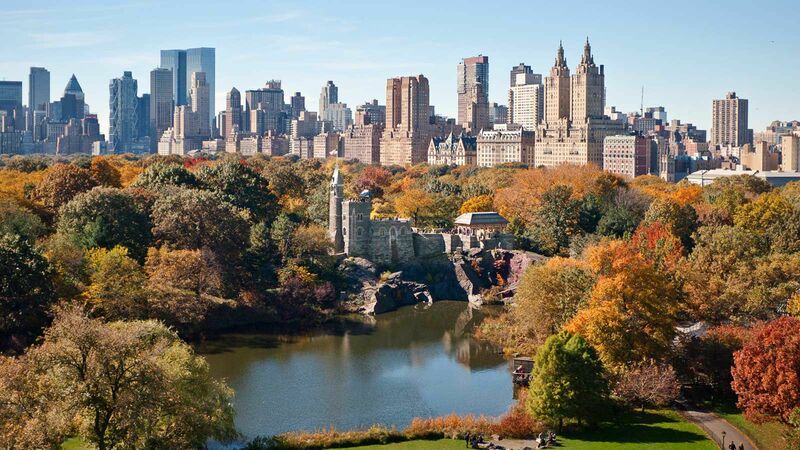 Stretching from Midtown to Harlem, the park is home to notable sites like Bethesda Fountain, Belvedere Castle, numerous small lakes (rowboats included), and its own zoo. Events in the space run the gamut from New York Symphony performances to summertime concerts to mushroom foraging excursions. Prospect Park is to Brooklyn what Central Park is to Manhattan—which isn’t too farfetched, since landscape architect Frederick Law Olmstead helped to design both. At 585 acres, the park boasts numerous cultural and historic attractions, including the Prospect Park Zoo, Brooklyn Botanic Garden, various colonial-era buildings, a Quaker cemetery, and more. The park is also host to many events, like Celebrate Brooklyn—the city’s longest running public arts festival. On the north end of Prospect Park is one of Brooklyn’s must-see outdoor spaces. The Brooklyn Botanic Garden is a fixture of the surrounding neighborhood because of its extensive plant collection, and each spring the Cherry Esplanade attracts thousands of visitors who come to see the sakura trees in bloom. Segway into the Japanese garden (one of the most visited of its kind outside of Japan), the zen-like bonsai room, the large herb collection of the Shakespeare Garden, and this horticultural hotspot makes you wish you had more of a green thumb. Just south of Manhattan, and separated from Brooklyn by Buttermilk Channel, is a small island with a big story to tell. Governor’s Island is part natural land and part artificial landfill, but come summertime, this former United States Army and Coast Guard outpost becomes something of a playground. Relics from its past can be found throughout the island, but new additions, like a sculpture park, extensive bike paths, and a full calendar of cultural events have married history with the present. Sometimes you can even catch an ice cream truck on its shores. Looking for NYC’s oldest park? Head to the southern tip of Manhattan to Bowling Green—a small plot of land with a rich history, dating back to the days of New Amsterdam. The park was once the site of a Dutch fort before the colonial government began leasing the land out (for a peppercorn a year) with the hope of transforming the space into a more of a leisure spot. Today, the tiny circular park is just that—a quiet piece of green amid downtown’s bustle. The Staten Island Ferry has become a popular attraction due to its (free) views of the Statue of Liberty, but very few tourists ever venture into the forgotten borough. And yet, only a short distance from the boat’s dock is a cultural center worth some exploration. Sailor’s Snug Harbor is home to the New York Chinese Scholar’s Garden (one of only two Chinese gardens in the West, designed by team of Chinese artists), various flower gardens (such as the Healing Garden, which is dedicated to 9/11 victims), and various 19th-century buildings showcasing NYC’s architectural past. At the tip-top of Manhattan is a little piece of monastic Europe overlooking the Hudson River. The Cloisters, a part of the Metropolitan Museum of Art, is equal parts green gardens, historic architecture, and art galleries. Constructed from abbeys shipped to New York from Europe in the 1930s, the buildings showcase the aesthetic of Catalan and southern French monasteries. Exhibitions are diverse with a heavy focus on Medieval European art. It’s easy to get lost here. What happens when you turn a former freight railway into a green space? You get a lot of buzz. The High Line on Manhattan’s west side opened in 2009, and today it attracts millions of visitors. In a sense, the linear park defines the term “urban jungle.” Native plants and shrubbery adorn its 1.45-mile-long path, sprouting up between pieces of abandoned train tracks. Views along the way include the Hudson River and the city structures that tower above. One the country’s most extensive Himalayan art collections sits atop Lighthouse Hill in Staten Island. Unassuming and a bit remote (getting here is literally a hike), the Jacques Marchais Museum of Tibetan Art was founded by Jacques Marchais—a woman who wanted to bring a piece of Tibet stateside. One step outside the small art gallery is a terraced garden, decorated with Buddhist prayer flags, that offers one of the most unrivaled views of New York Bay. The Dalai Lama himself even paid the spot a visit and noted that it reminded him of home. 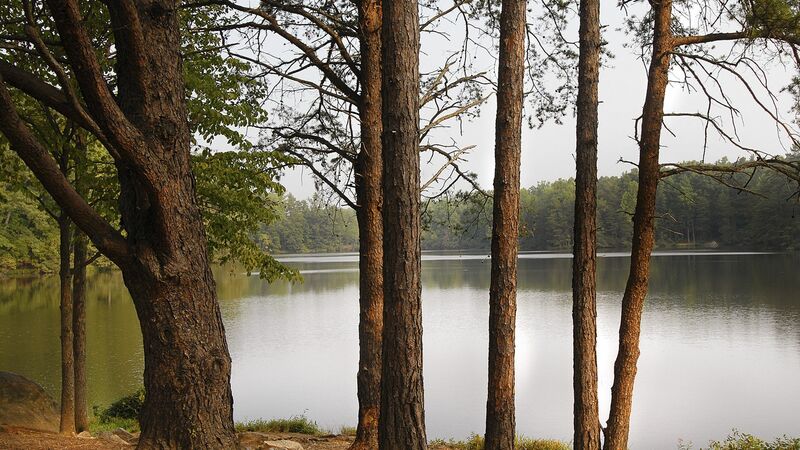 The city’s largest park is not what many think (no, it’s not Central Park). Instead, you’ll need to head north and east to a far corner of The Bronx to Pelham Bay Park. Here, travelers can find enough salt marshes, rivers, and small islands to make them forget they’re even in the Big Apple. One main draw is Orchard Beach (sometimes playfully known as the Bronx Riviera)—an expansive manmade slice of sand on the Long Island Sound. Surfing is possible within NYC limits at Jacob Riis Park in the Rockaways, where there’s barely a skyscraper in sight. Formerly an air base, the beachside park was opened in the 1930s and continues to attract New Yorkers in search of sun and sea, and a peculiar Art Deco bathhouse that fell into disrepair. One of the city’s newest parks pays homage to FDR’s famous Four Freedoms Speech. Lying at the southern tip of Roosevelt Island, the space offers magnificent views of Manhattan’s east side. Designs for the park date back to the 1970s, when designer Louis Khan died with the completed blueprints in his hands. His plans eventually came to fruition in 2012 as a plot of manicured trees and white stone monuments. The only thing missing in this list of parks is one that actually functions as its own microclimate due a large brick wall that retains heat from the sun. Luckily such a thing exists at The Gardens at Saint Luke in the Fields—tucked away on the grounds of a West Village church. Here, many plants from the world over thrive in what is, without question, a perfectly hidden spot. Worth noting are the bird and butterfly migrations that stop by for the many berry plants. You should follow their lead. Deep within the high-rise canyons of the Upper West Side is a tiny pocket of greenery that looks more like a charming alleyway than a city park. In fact, this smallest park in New York pretty much is a charming alleyway. Septuagesimo Uno, Latin for seventy-one, is appropriately located on 71 Street.